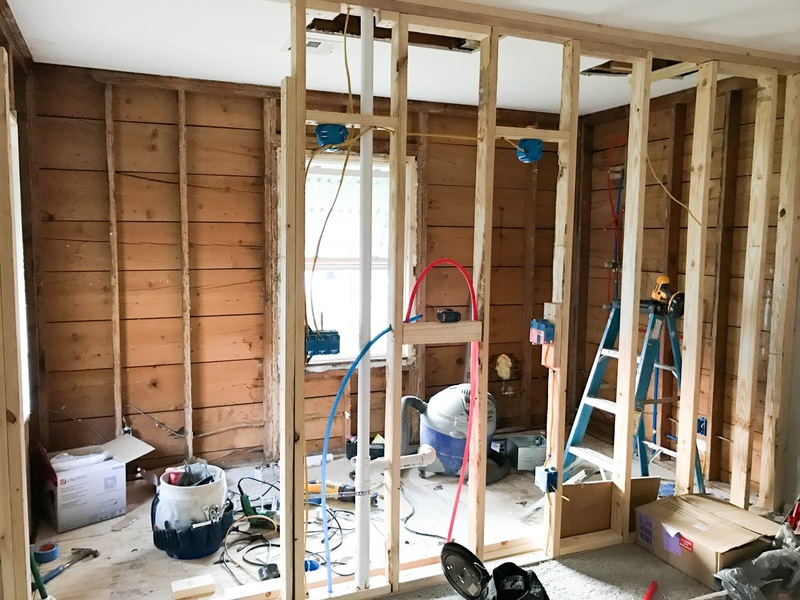 I shared last week that we are adding a master bathroom to our house. While Jordan and I went on vacation, our contractor went to work! I was only expecting to come home to a little bit of ground work, but we were blown away with the progress only made in a week! 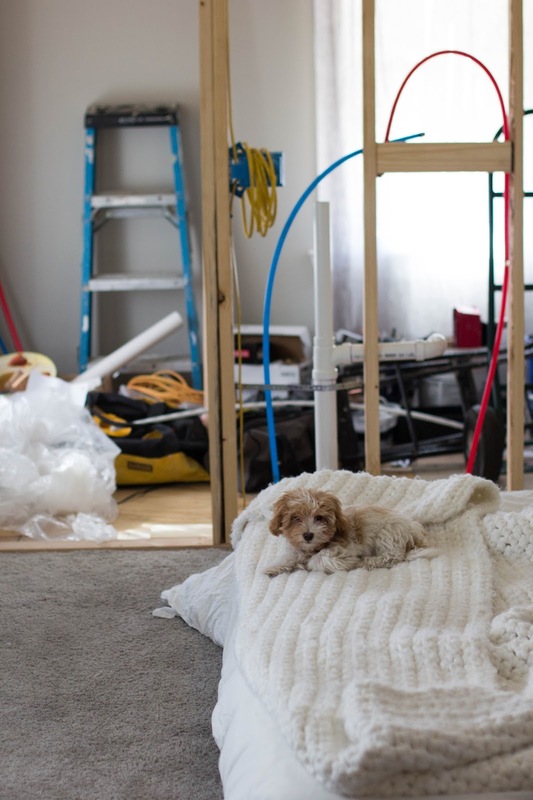 Things are sailing along and we found a lot of weird things about our master bedroom. First, we found it has two subfloors, no insulation (yikes! ), and we found old termite damage. Nothing really set us back, but we have so many questions for the previous owner that will probably never be answered. That's what you get with old homes! I've been ordering and choosing the finishes and accessories for the room and it is so exciting to see it all come together. I'm still on the hunt for the perfect rug for the space, I have some strong contenders but I am going to wait until the shower and vanity are framed out to get a better measurement. Tile should be going in by the end of the week...it's all really happening!